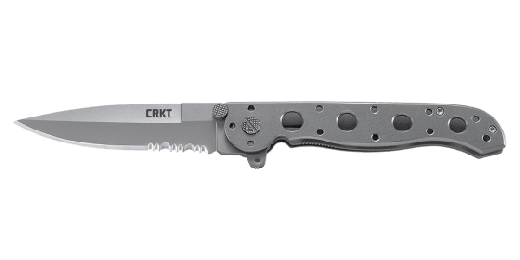 We set about to make the Z EDC the best value in the work and sport knife world. Here is Kit Carson's M16® Every Day Carry (EDC) with our glass filled nylon InterFrame build. 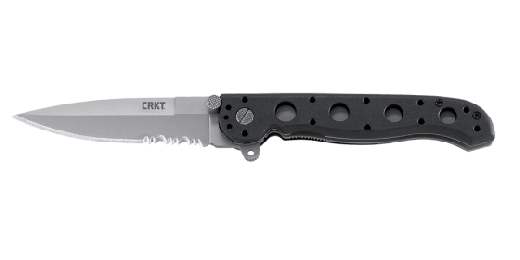 Our knife users told us, "We want an affordable work knife that we can give hard use without feeling guilty, and one that won't break us up if we leave it on a job site or drop it in the river." That starts with textured glass filled nylon scales and a dual stainless steel liner InterFrame. Assembled with glass filled nylon back spacers and Torx® fasteners, the result is amazingly rigid. Glass filled nylon offers excellent toughness and resistance to solvents. Lubrous washers at the blade pivot and an adjustable pivot screw allow for perfect blade action. 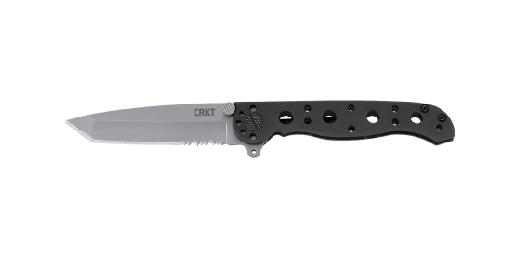 The blade is 8CR15MoV high-carbon stainless steel with a bead-blast finish, which gives an ideal combination of toughness and edge-holding ability in a work knife, and also allows easy field-sharpening. 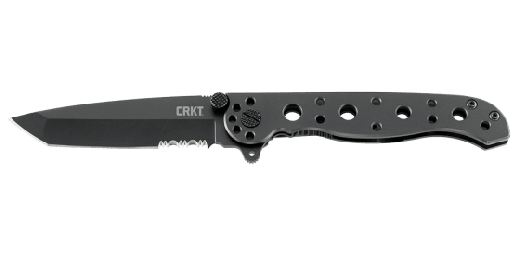 The M16®-10Z features a dual hollow grind Tanto-style blade with Combined Razor-Sharp and Triple-Point™ Serrated edges similar to our "Big Dog" M16 models. 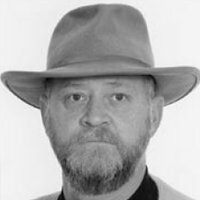 The result is maximum blade strength and ability to saw through cord, webbing, nets or vegetation quickly. 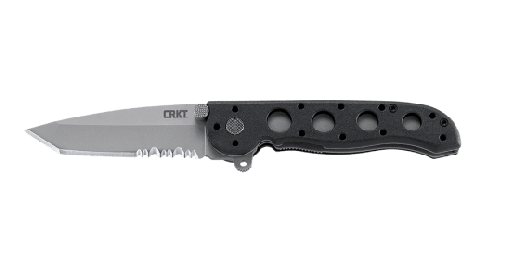 This knife features automated liner safety. Automated liner safety is the locking liner safety innovation taken to the next level. The automated liner safety sets a pin between the locking liner and the frame. This pin acts as an additional layer of safety, so the locking liner is less likely to disengage during use. 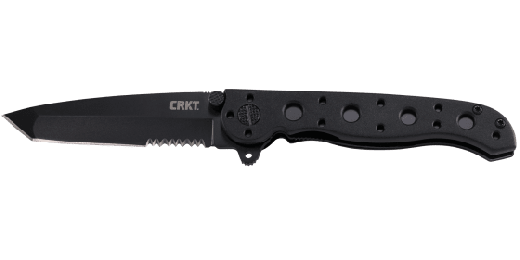 Add to these features the standard removable stainless steel clothing/gear clip plus the CRKT® limited lifetime warranty, and you have one of the truly great knife values of our time.